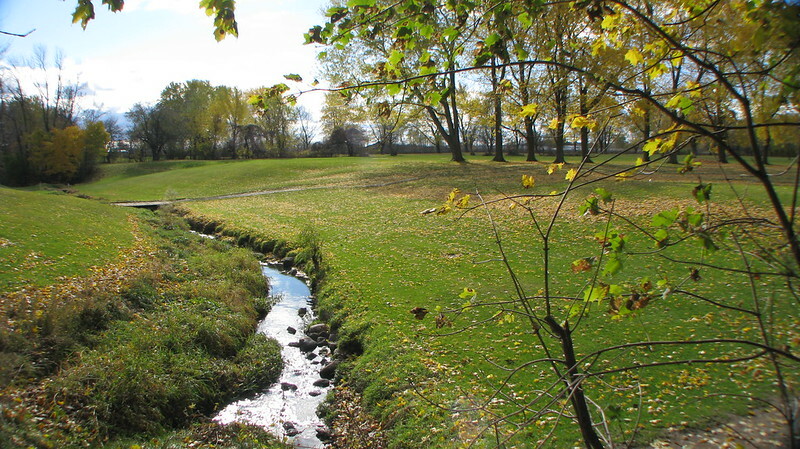 This is rivière Saint-Pierre, as seen near the Meadowbrooks golf club, in Cote-Saint-Luc. This is the ****last*** place you can see it flow. Everywhere else, it’s been taken underground / integrated in the sewer system. This is beautiful and it does not smell bad at all! Taken from corner Banstead / Sheraton, in the Toe Blake park. Image published by douaireg on 2009-11-01 23:32:11 and used under Creative Commons license.